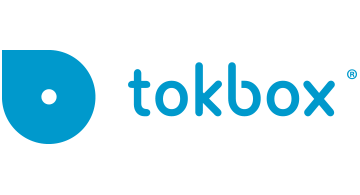 TokBox, a Telefonica company, develops and operates OpenTok, a global cloud platform for embedding live video, voice, messaging and screen sharing into websites and mobile applications. The scalable, customizable platform gives developers the creative freedom to build any communications experience, from one-to-one chats to large-scale broadcasts. The first platform to incorporate support for WebRTC, OpenTok caters to enterprises, entrepreneurs and developers with powerful APIs and a cloud infrastructure. OpenTok is trusted by leading organizations including Mozilla, Fox Sports, Major League Baseball, Esurance, Royal Bank of Scotland, Valspar, Bridgestone Golf, and Double Robotics.